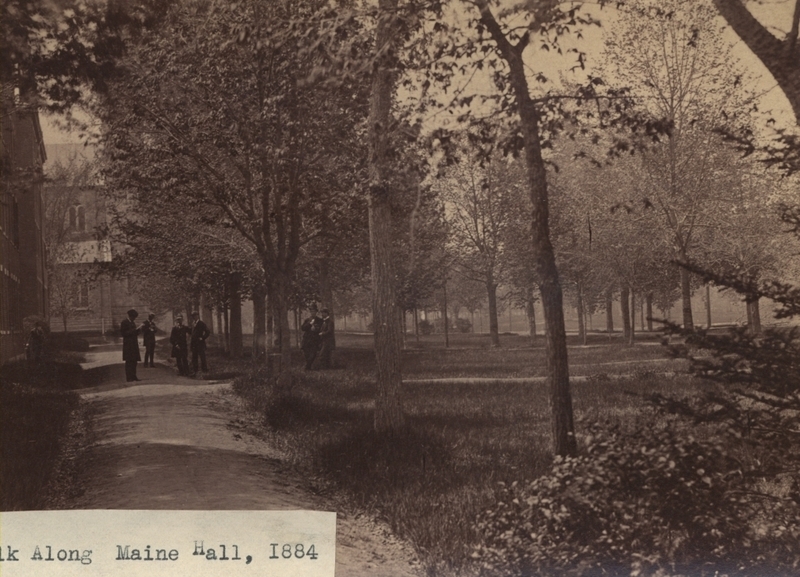 View of the Bowdoin College campus, looking north from Massachusetts Hall. Maine Hall in left foreground, Chapel in background. (Date on photo misleading).